The NanaWall PrivaSEE achieves its high sound ratings using a combination of proprietary features and components. The automatic floor bolt and horizontal compression drop seals are self-activated by simply moving the panels to one another. The unique wheel and ramp assembly automatically locks the panel into place without the need to kneel and lock it manually. 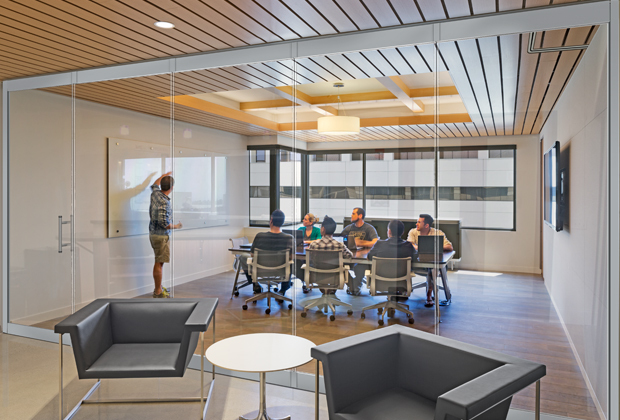 Super clear edge seals are used between panels for enhanced acoustical separation, which furthermore eliminates glass to glass and metal to metal contact. Seals virtually disappear from sight. The light transmittance (LT) of the sound seals has been independently tested and rated for 75% clarity and luminosity. 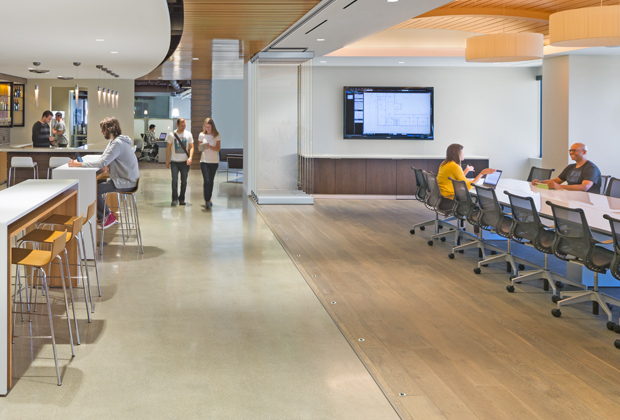 PrivaSEE uses adjustable eccentric floor sockets rather than a floor track keeping a clean aesthetic. 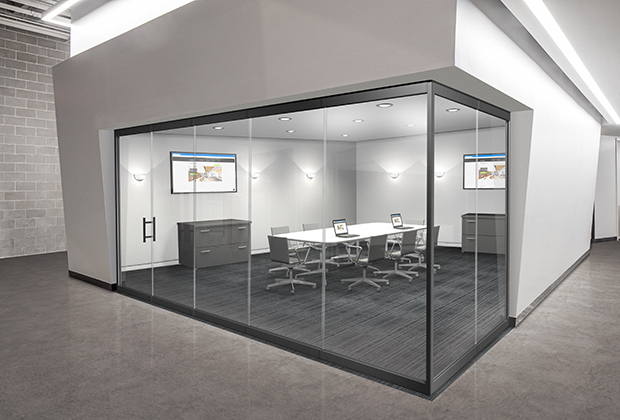 Standard to PrivaSEE is 1/2” (13 mm) laminated glass with a sound enhanced interlayer providing reduced sound transmission. All vertical edges are polished. For easy access, PrivaSEE configurations come standard with a single action swing panel equipped with a floor closer at the side jamb. 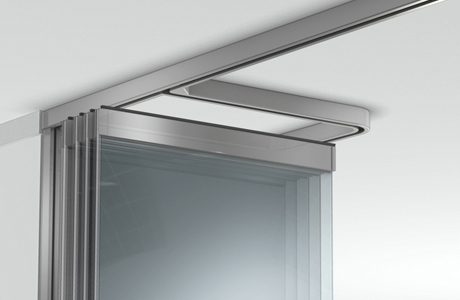 The swing panel with offset hinge allows for a maximum 180° swing plane. System stacking and swing panel can be provided at either one end or both to accommodate traffic patterns. The single action swing panel is commercially tested to 500,000 opening and closing cycles. ADA compliant options available. To optimize space management, customizable stacking and parking bay options are possible. German engineered roller system ensures quiet, smooth, and trouble free single hand operation by using an “intelligent” guiding system. Each closed panel of PrivaSEE can be securely locked in place. When desired, the single action swing panel can be secured from outside access with either an optional spring activated quick release floor bolt or a profile cylinder in the bottom rail. Optional Tubo100 is also available for convenient hand height locking. 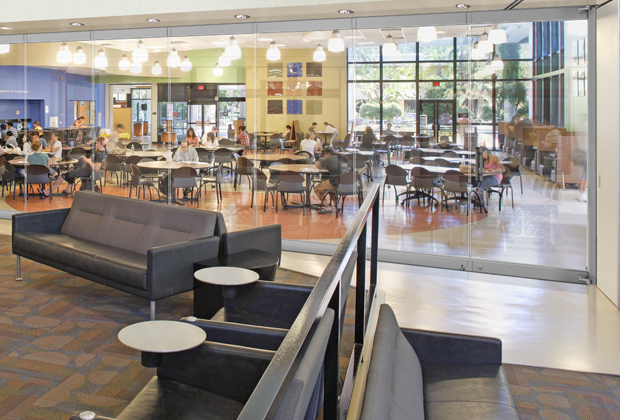 PrivaSEE is now available in open corner configurations. 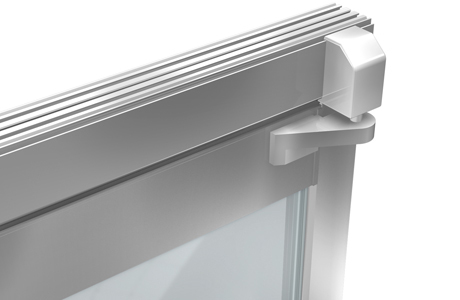 A single corner profile is attached to one sliding panel at the corner and slides away with the system when opened—leaving a clear, unobstructed opening. Panels are available up to 10’ 6” (3200 mm) in height and up to 4’ 1” (1250 mm) in width. Single action swing panels are available up to 10’ 6” (3200 mm) in height and 3’ 7” (1100 mm) in width. Please confirm with local codes on height limits with 1/2” (13 mm) thick glass. 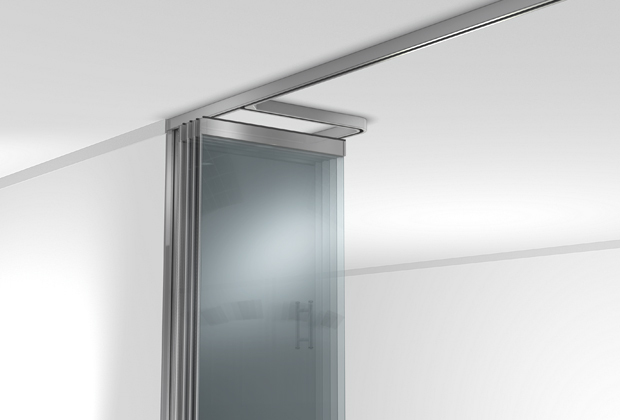 In tight stacking conditions where a swing door is not required, a minimal 1’ 8” (500 mm) swing panel is available.